Piletech : What are Screw Piles? Home : About : What are Screw Piles? Screw piles are a type of deep foundation that can be installed quickly with minimal noise and vibration. Screw piles are wound into the ground, much like a screw is wound into wood. This is an efficient means of installation and coupled with their mechanism of dispersing load, provides effective in-ground performance in a range of soils, including earthquake zones with liquefaction potential. The piles are made of circular hollow steel sections with one or more helices attached to them. Screw piles cut into the soil following a constant pitch, as opposed to auguring through it. The helical flights and shafts are specifically designed to suit the ground conditions. Once the pile has reached the target depth it remains permanently in place and is typically filled with concrete. The protruding reinforcing provides the connection to the building structure above, and can in some cases increase the capacity of the pile. The interface between the pile and building is a very important part of the design and requires some care. The connection is designed by considering the building and the ground that the piles are screwed into. This generally requires geotechnical and structural input. The most common method of connecting a Screwpile to a structure's foundation is to cast the head of the Screwpile into the building’s concrete foundations. Fixity is achieved through steel reinforcing bars that are cast into the piles and protrude out into the footing of the building. The reinforcing bars generally have a standard 90 degree bend which can sometimes be substituted for Reidbar reinforcing with flange nuts or foot plates screwed onto their ends. Allow for ‘sacrificial’ corrosion – a pre-determined rate of corrosion based on accepted standards. Surface protection can be applied to the steel to limit the corrosion rate. 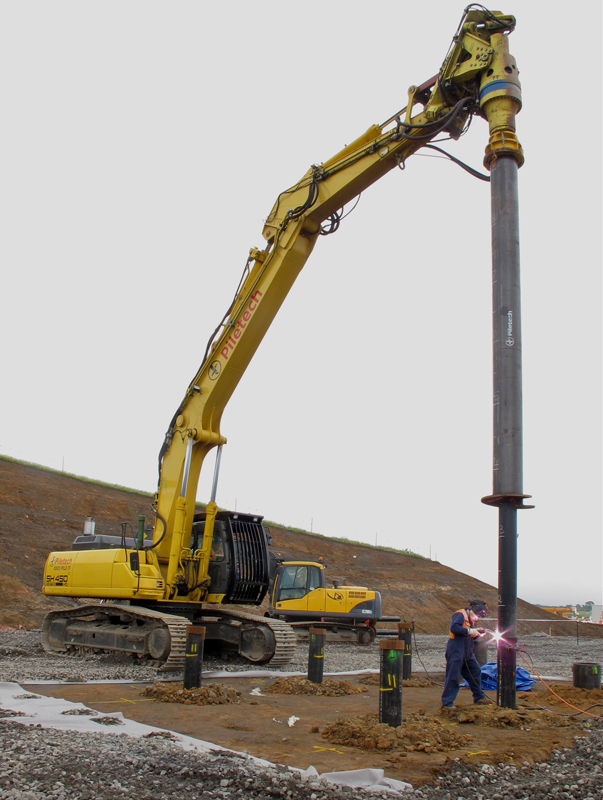 Piletech piles are typically designed using sacrificial corrosion. Usually a conservative default value of 0.03 mm/year is used. 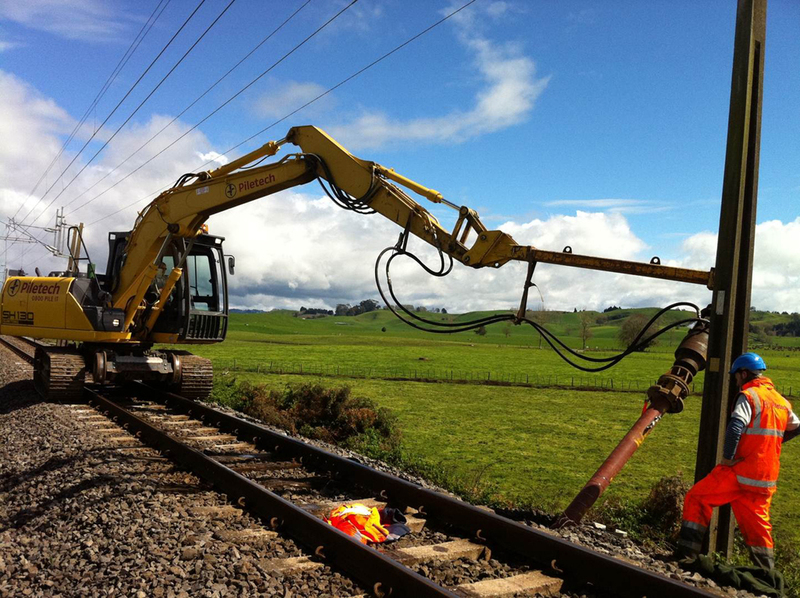 This is in line with the Australian piling code AS2159 which is more conservative than the New Zealand steel code NZS3404. Where special circumstances require a higher level of protection – for example works within the Coastal Marine Area, special coatings can be utilised to improve corrosion resistance. 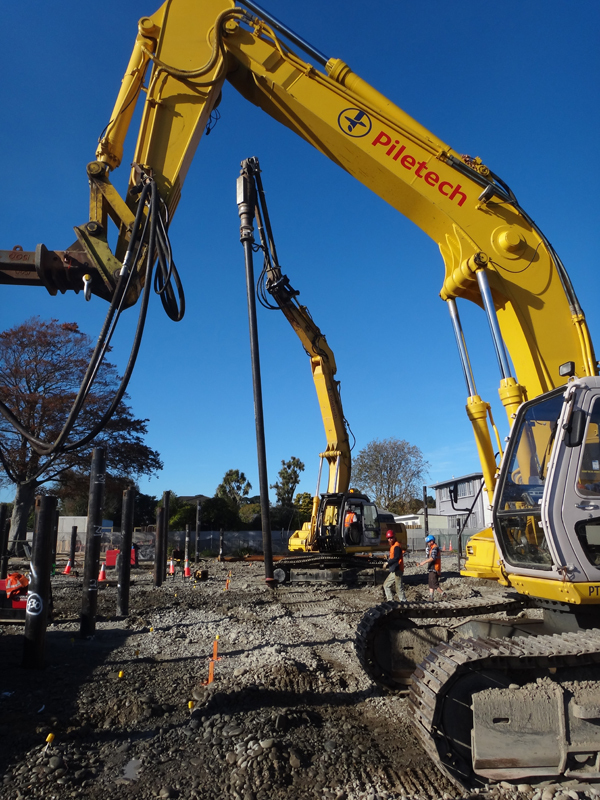 Piletech piles are engineered to perform at least as well as the design requires, throughout the specified design life. 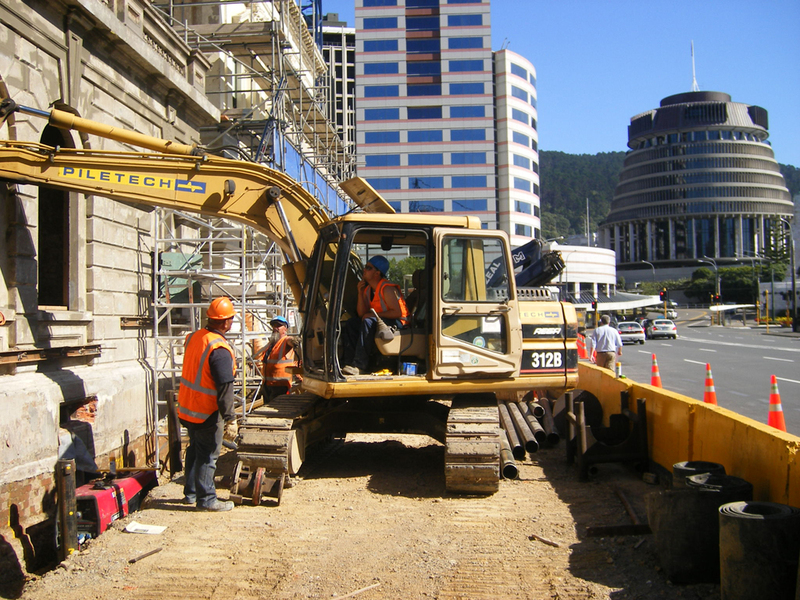 In most cases this means a minimum of 50 years, in accordance with the New Zealand Building Code – however longer design lives can be achieved. A ‘design life’ of 50 years means that the piles will as a minimum still have the capacity to carry the original design loads after 50 years. In most cases the thickness of the pile shaft is dictated by how strong it needs to be to be installed into the ground, rather than the loads it needs to carry once installed. Therefore the ‘design life’ through sacrificial corrosion would be in excess of the specified design life. Clearly shows how many piles are required and where they are located. Used to determine what size equipment can be used on site. 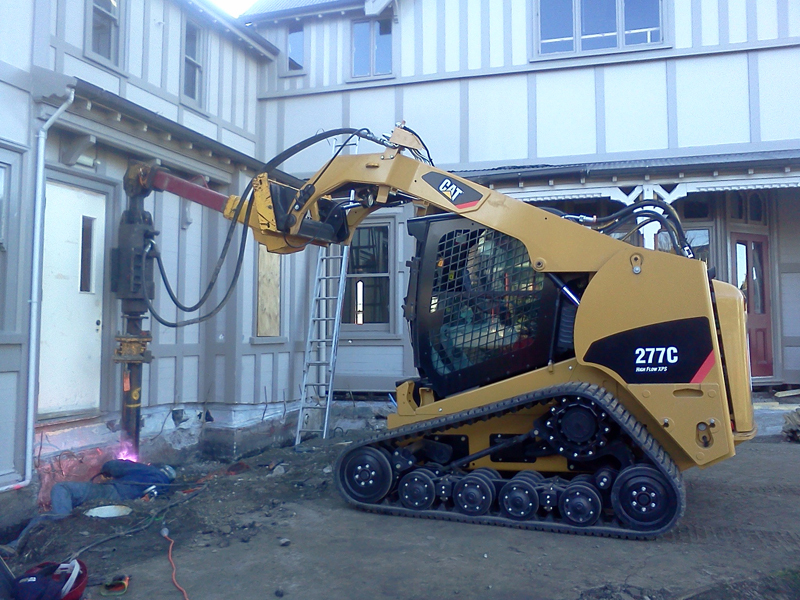 Identifies headroom and lateral restrictions, especially when working inside a building or close to adjacent buildings. Determines what size helix and type of shaft is used when designing the pile.